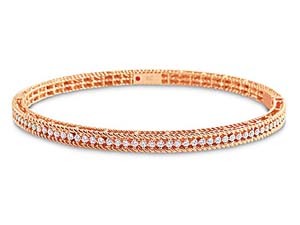 Shimmering, sparkling and luxurious, the diamond bracelet selection at Alson Jewelers includes head-turning styles and unique takes on classics. We proudly carry pieces by celebrated designers such as Roberto Coin and Penny Preville. To view our stunning diamond bracelets for women in person, schedule an in-store viewing online or simply visit the Alson Jewelers location in Cleveland, Ohio.